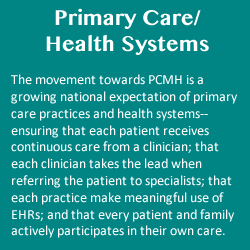 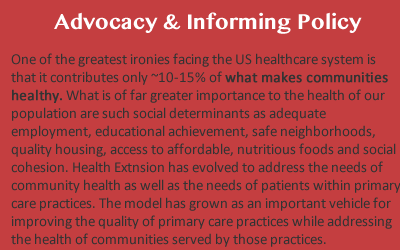 There is no single definition of Health Extension or Primary Care Extension that suits all circumstances. 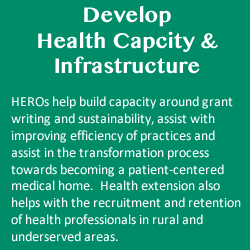 The concept is new and has sprung up in different states to meet differing needs. 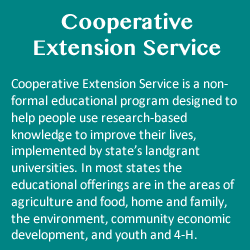 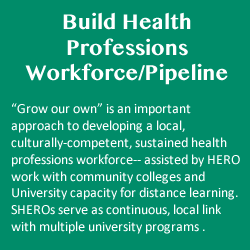 In Kentucky, it has grown from collaboration between the School of Public Health and the College of Agriculture. 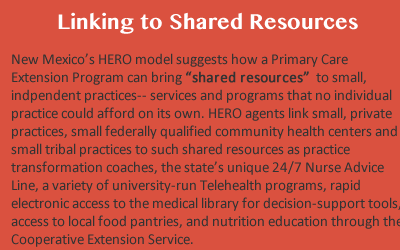 In Oklahoma, it has grown out of the services to primary care practices out of the state’s Practice Based Research Network. 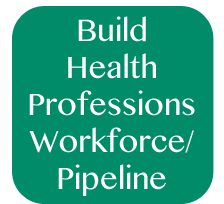 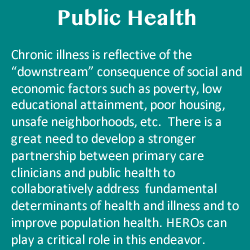 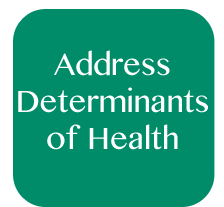 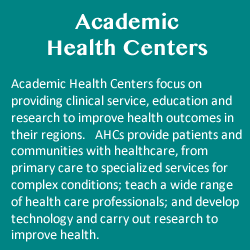 And in New Mexico, it grew out of a set of academic health center innovations which addressed the social determinants of disease and which created shared resources available to groups of primary care practices. 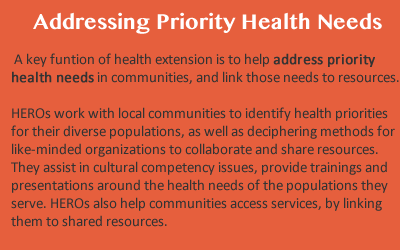 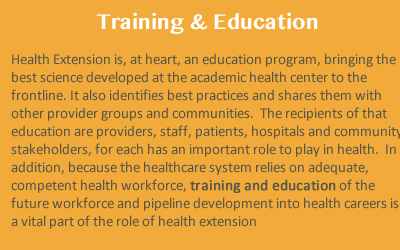 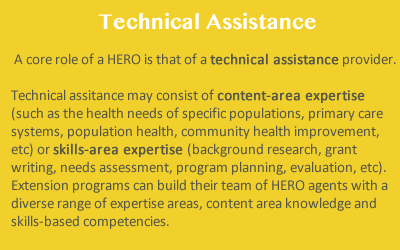 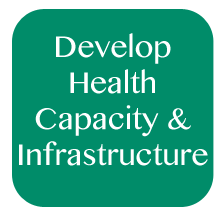 The framework above describes how health extension reaches community outcomes, through various activities that health extension agents undertake and that are further elaborated on in modules of the toolkit. 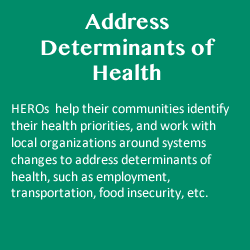 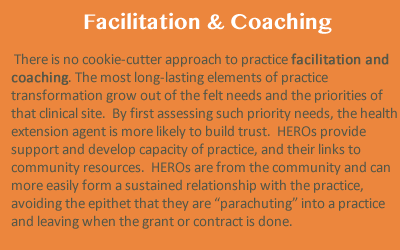 Although there are many variations of this model, depending on place-based circumstances in each of the states implementing health extension, this model can serve as a basic framework.